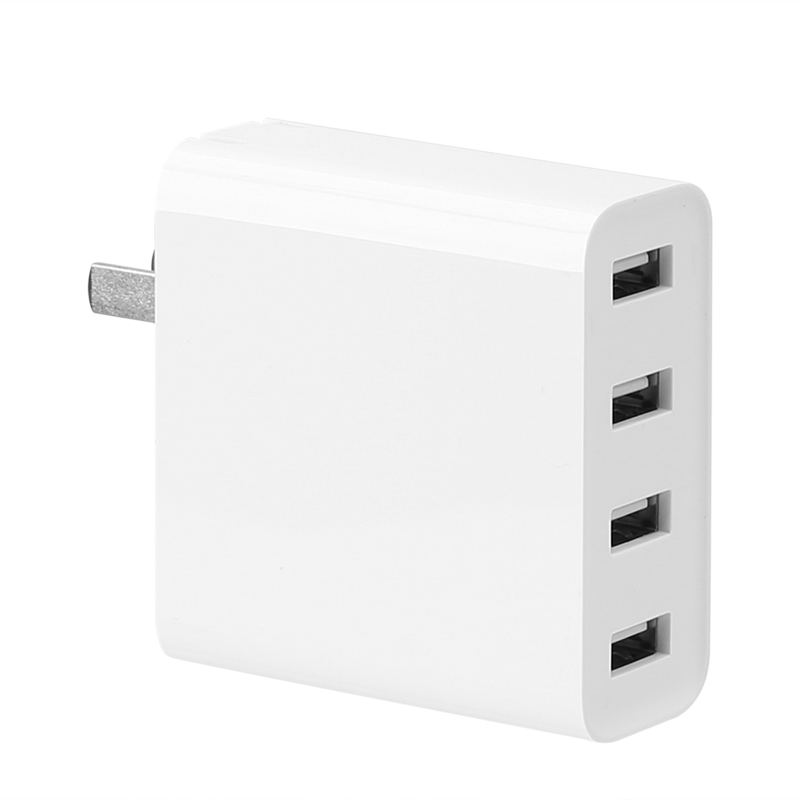 Successfully Added Xiaomi USB Charger - 4 Ports, 2A Fast Charge, AC 100-240V, Worldwide Usage, Compact Design to your Shopping Cart. With this compact Xiaomi USB charger, you’ll never again have to worry about bringing along an abundance of adapters for all your different electronics. Featuring four USB 2.0 ports, this USB charger offers convenient usage and allows you to charge up to four electronics at once. No longer will there be the need to carry along all those cables and different adapters - with this multifunctional charger, you’ll have all that’s necessary to charge all your electronics in just one compact device. Thanks to its lightweight and miniature design, it is highly portable and can be easily carried along wherever you go – ensuring that your electronics will never end up without power again. The latest 2A fast charging technology provides you with charging speeds faster than ever before. Recharge your smartphone, tablet, or music player in the blink of an eye – nothing is impossible with this 4 port USB charger. With its wide input voltage range of AC 100 to 240V, this multifunctional electronic gadget can is fit for worldwide usage. No matter where you live or where your upcoming holiday may bring you, with this accessory at your side you’ll always be able to recharge all your beloved electronic gadgets. This Xiaomi USB charger comes with a 12 months warranty, brought to you by the leader in electronic devices as well as wholesale electronic gadgets..
Arabic: - شاحن USB - Chinese Simplified: - USB 充电器 - Czech: - USB nabíječka - Danish: - USB oplader - Dutch: - USB-lader - French: - Chargeur USB - German: - USB-Ladegerät - Hebrew: - מטען USB - Hindi: - USB अभियोक्ता - Italian: - Caricabatterie USB - Japanese: - USB 充電器 - Korean: - USB 충전기 - Malay: - Pengecas USB - Norwegian Bokmål: - USB-lader - Romanian: - Incarcator USB - Russian: - USB зарядное устройство - Spanish: - Cargador USB - Thai: - เครื่องชาร์จ USB - Turkish: - USB şarj cihazı - Vietnamese: - USB Charger.